Disposable cups remain a persistent problem worldwide, with trillions of them ending up in landfills. 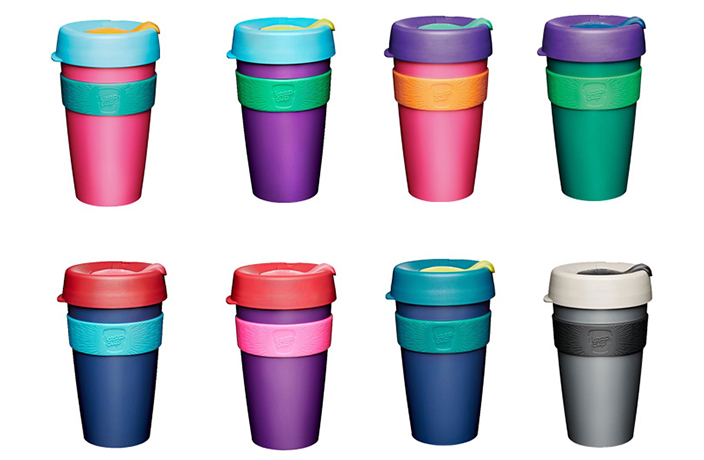 Thankfully, KeepCup have devised the perfect solution with their reusable and environmentally-friendly coffee cups. Say goodbye to disposable beverage containers for good with these four excellent coffee cups, available right now on on thMart. The KeepCup Brew Cork Edition features a natural cork band and is made with a tempered glass body for a premium drinking experience. Extra durable, this cup is designed to let you microwave your coffee up to 100 degrees Celsius. It’s also perfectly dishwasher safe. With color choices of thermal, turbine, press, espresso and almond, the Cork Edition oozes style and class. KeepCup's Brew edition offers a premium drinking experience for your daily coffee ritual. These specially designed spill-proof drink containers are available in a variety of sizes and colors. Crafted from blown tempered glass, these trendy and stylish cups offer a premium drinking experience for any coffee lover. KeepCup’s Original Reusable Coffee Cup comes with several different size options (4oz-16oz), optimized for your best coffee experience. The key features include an enlarged rim, rotary lid and skid resistance. It also comes with a spill-proof design and is made with highly microwavable material, which is super handy. Oh, and there’s also several really cool color combinations, adding some finesse to your daily coffee experience. KeepCup’s Original Clear Edition comes with a Tritan body material, which is non-toxic and made from resilient, clear, BPA and BPS free plastic, staying true to the brand’s commitment to environmental friendliness. It’s just as sustainable as original, as well as sturdy and lightweight. If you're an Italian food lover, then head over to Favorita to try their home cooked Italian dishes.